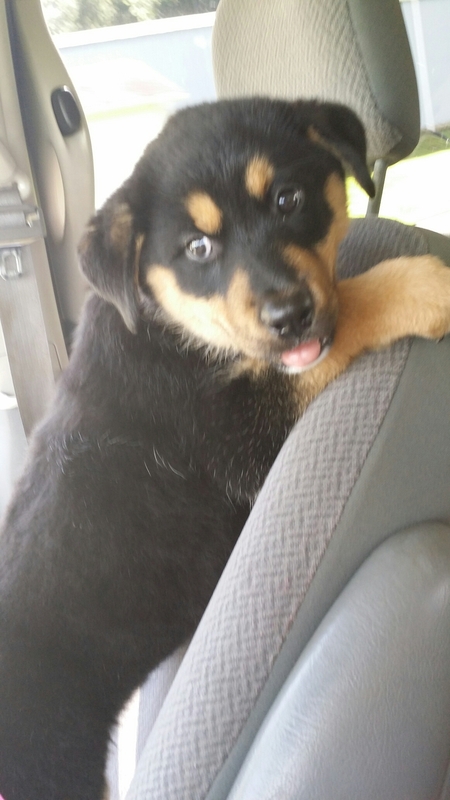 This puppy was found in a neighboring town after the storm Sunday night, cowering in someone’s bushes. The owner couldn’t be found. The finder turned her over to the pound. Initially, we saw her picture circulated by the local Humane Society, but then on Tuesday, her picture was with the dog pound. We discussed it and decided to foster her until she could get on a rescue transport. 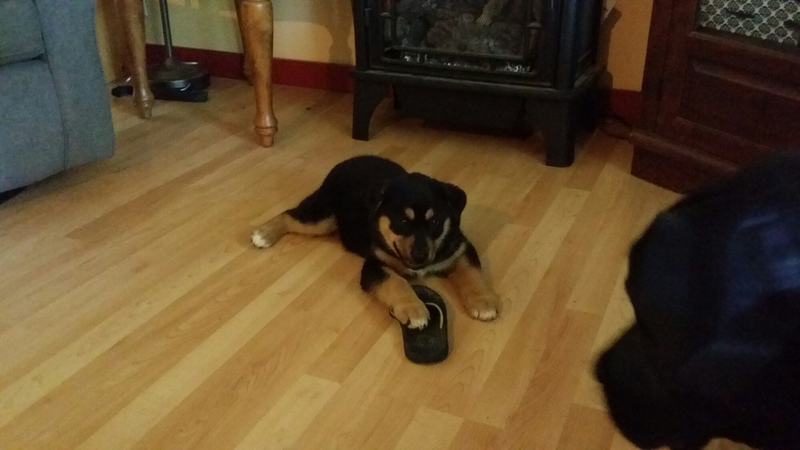 The pound think she’s a Great Pyranese mixed with a Rottweiler or a German Shepherd. She’s the biggest ten week old puppy I’ve ever seen!!! She’s going to make somebody a wonderful farm dog (not us – four dogs are enough!). Cooper and Smidge aren’t too happy that she’s here because she keeps stealing their bed. 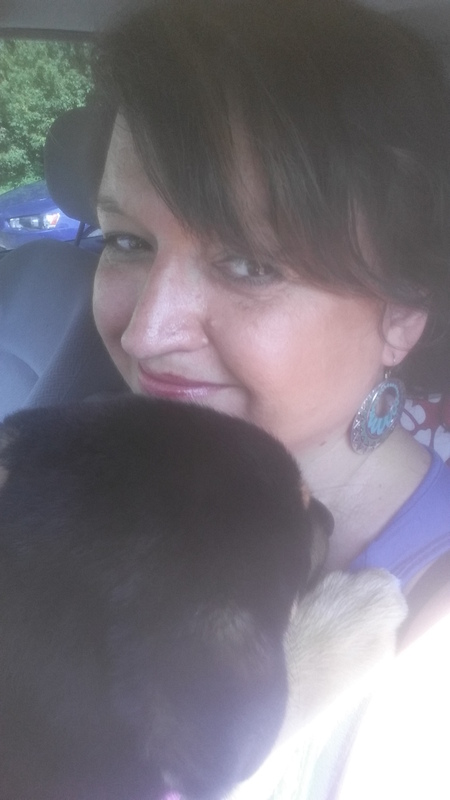 DG doesn’t care, and Puppers is sure this barking thing is going to eat her…. 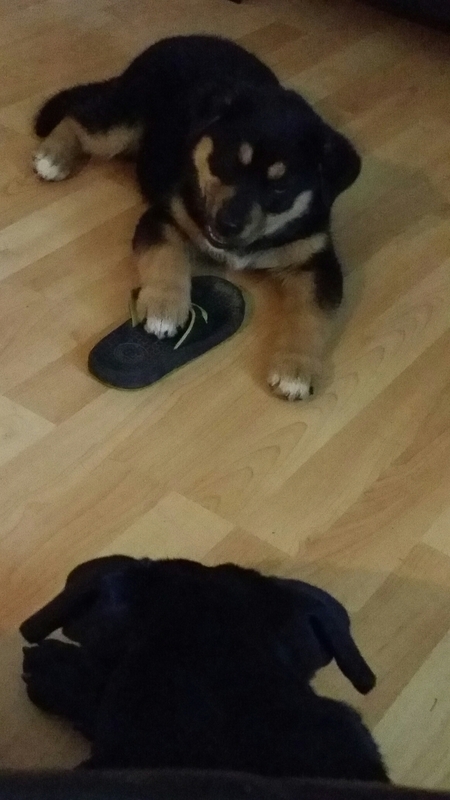 …although Puppers really really wants that shoe so she’s trying to be brave and steal it! What a beautiful puppy! Thanks for taking care of her until she finds her forever home. Oh, he’s precious! And you’re right, he’s going to be a monster! I’m glad you can foster him until he gets a forever home. I don’t know if I could give one up. We weren’t able to give up Puppers (our failed fostering attempt: see categories “Nibbler” and “dogs”), but it was a completely different scenario with her being two days old when we got her.